Zigzagoon is a Normal type Pokémon introduced in Generation 3. It is known as the TinyRaccoon Pokémon . The effectiveness of each type on Zigzagoon. In Generation 3, Zigzagoon does not have the Gluttony ability. 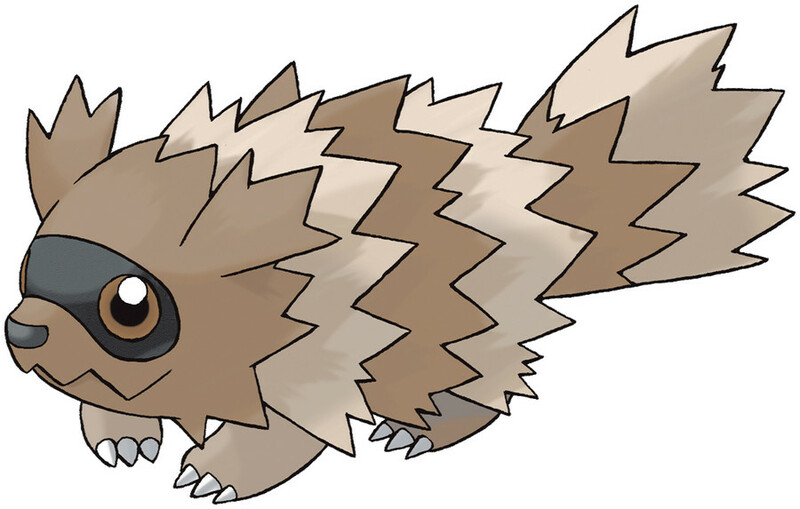 In Generations 3-4, Zigzagoon has a base experience yield of 60. 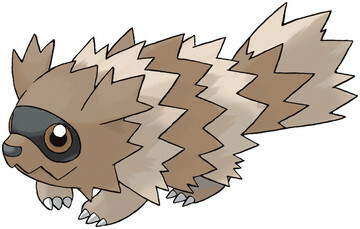 In Generations 5-6, Zigzagoon has a base experience yield of 48. The hair on ZIGZAGOON’s back is bristly. It rubs the hard back hair against trees to leave its territorial markings. This POKéMON may play dead to fool foes in battle. It walks in zigzag fashion. It’s good at finding items in the grass and even in the ground. Zigzagoon learns the following moves in Pokémon Ultra Sun & Ultra Moon at the levels specified. Zigzagoon learns the following moves via breeding in Pokémon Ultra Sun & Ultra Moon. Details and compatible parents can be found on the Zigzagoon egg moves page. Zigzagoon can only learn these moves in previous generations. It must be taught the moves in the appropriate game and then transferred to Pokémon Ultra Sun & Ultra Moon. Zigzagoon learns the following moves in Pokémon Sun & Moon at the levels specified. Zigzagoon learns the following moves via breeding in Pokémon Sun & Moon. Details and compatible parents can be found on the Zigzagoon egg moves page. Zigzagoon can only learn these moves in previous generations. It must be taught the moves in the appropriate game and then transferred to Pokémon Sun & Moon. How do I soft reset for a ExtremeSpeed Zigzagoon using Pokemon Box? Are there any gift Pokemon you get for filling boxes aside from Extreme Speed Zigzagoon?